When you need heavy duty, you need the Jazzy® 614 HD. 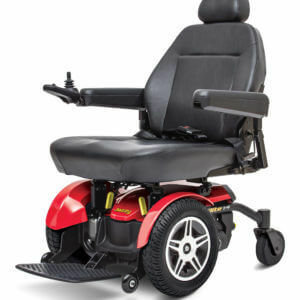 This power chair features patented Mid-Wheel 6® technology and Active-Trac® Suspension. When you need heavy duty, you need the Jazzy® 614 HD. 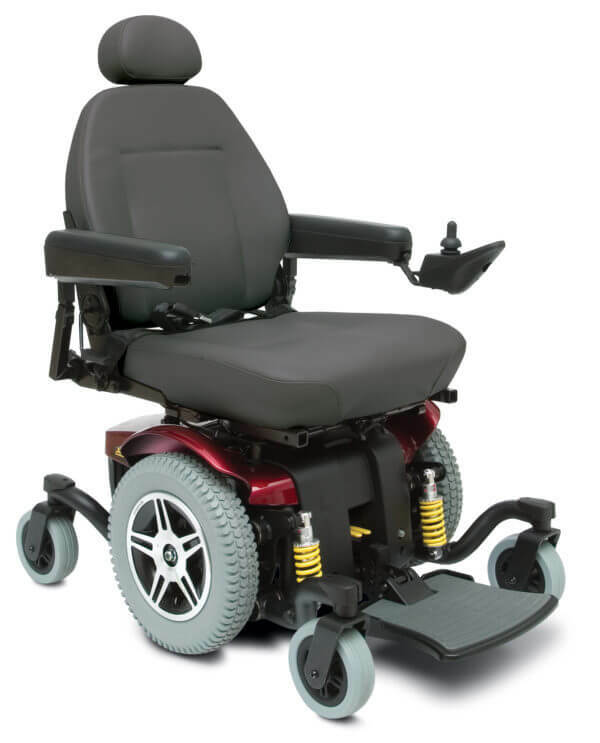 This power chair features patented Mid-Wheel 6® technology and Active-Trac® Suspension. Independent front casters raise and lower as needed to assist with terrain changes. Dual in-line motors provide greater efficiency and torque for exceptional performance. Independent drive wheel suspension utilizes a dynamic spring-strut dampening system to reduce vibrations. Experience the convenience of an adjustable foot platform for maximum comfort. 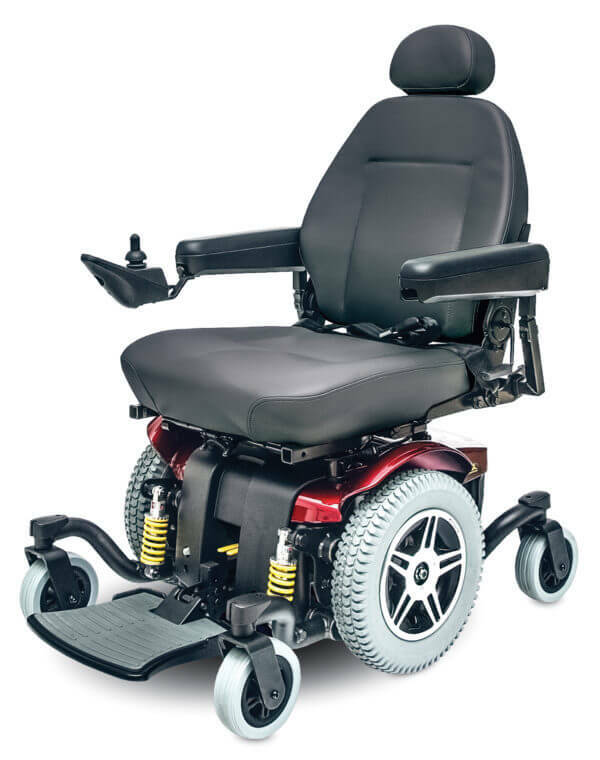 The Jazzy 614 HD offers everything you’ve ever wanted in a power chair in one heavy duty 450 pound capacity package.